The Applied Computer Science faculty educates ICT specialists, computer system designers and administrators at postgraduate level. A practical approach to teaching is reflected in practice-oriented courses. As a graduate you will be familiar with advanced Computer Science and skills related to it. The program is based on practical approach and adjusted to the contemporary labour market demand. However, you will also gain more general knowledge and skills expected from master’s degree alumni. You will be able to conduct basic scientific research using formal methodology. Such courses as Computational methods, Computer Modelling and Simulation, Computer System Engineering will help you develop knowledge and skills in carrying out research. Another important feature of the program is its focus on team work and your role as an IT project manager. Graduates obtain a Masters’ Degree in Information Technology and shall be employed in: IT companies, IT centres and research institutions using information technologies, centres for economic data processing as designers, analysts and system programmers. Public administration and institutions dealing with economic trend planning and forecasting are other possibilities. 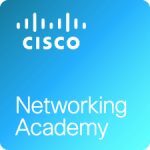 This specialization, which incorporates a problem solving approach, is based on IT community Cisco certification in networking. By choosing this program, you can finish all three CCNP courses required for taking the CCNP Routing and Switching certification exam. Apart from these courses, you can take an additional one in security. The Cisco Networking Academy at UITM is one of the first academies in Poland with highly experienced instructors. This program provides students with advanced knowledge and skills in software engineering. They become familiar with the process of software development and its all stages. Apart from high level programming languages included in the course, low level programming and programmable digital systems are also incorporated. A problem solving approach is used in the program.